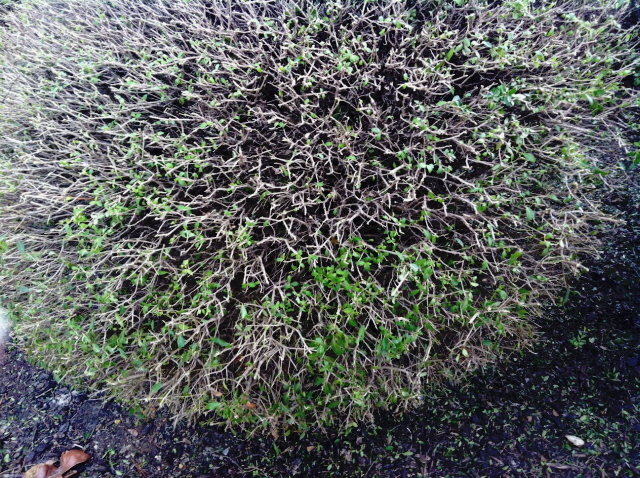 February Jobs For the Winter-Weary Gardener – Johntheplantman's stories, musings, and gardening. If you’re knee-deep in snow can spring be far behind? The snow went away, the sun came out and we got busy. It’s time to get things done. Nelson Magee likes for his yaupon hollies to look good all the time. They were getting a bit shaggy. We practice a modified version of “cloud pruning” in this yard and sometimes the growth gets pretty tight. This tightness keeps the light from entering the growth canopy which, in turn, forces all of the growth to the outside of the plant causing the inside stems to weaken. Every year or two I like to prune all the way to ugliness and open things up to let the light shine in. I guess that’s sort of what we need to do for our psyche as the end of winter approaches—Let some light shine in. 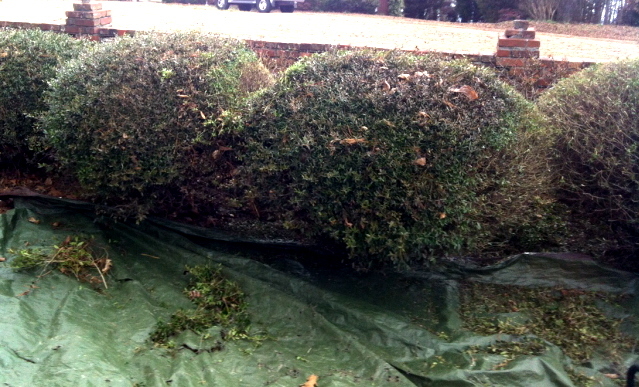 Cloud pruning on yaupon hollies will grow out to nicely shaped contours. 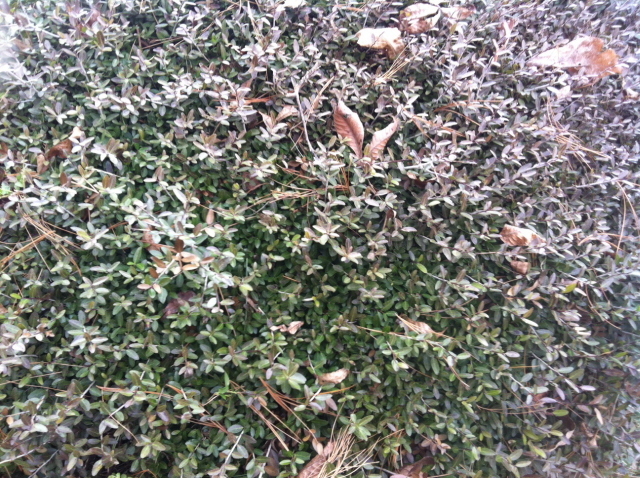 The two snows combined with zero degree weather have caused a bit of damage to the pretty loroetalum plants. Here’s a picture of the damaged plants. They get cut way back—again to let the light shine in. I scraped a bit of bark back from some of the lower trunks and everything is green instead of brown and mushy so the plants should come out all right. Freeze damage on loropetalums. We need to cut them back so the light can shine in. 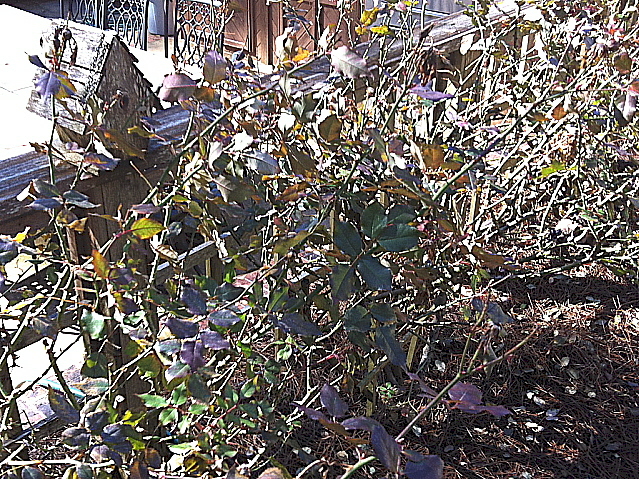 If you haven’t pruned the Knockout roses they probably look like this, all strung out with dead leaves and dormant growth buds. Those buds need to be exposed. Pruning will help them to emerge when the time is right. 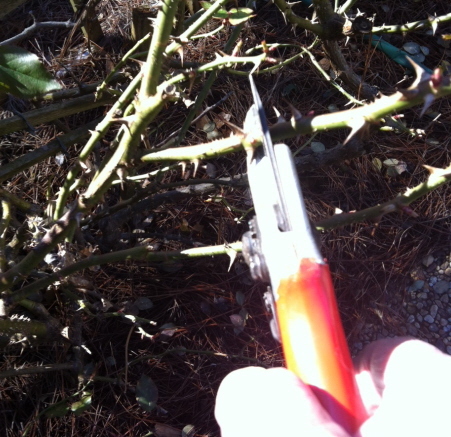 When pruning the roses, I like to carefully reach in and cut just above a dormant bud. This gives strength and compactness to the plant. The more care I take, the more the job stays away from the bloody realm of self sacrifice. Pruning the knockout rose. Be careful of the thorns! 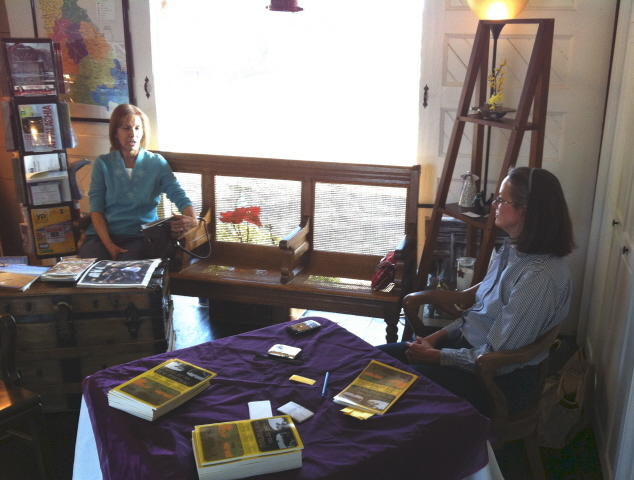 Oh, yes—things to do in February—I need to finish up and make it to The Last Stop Gift Shop in Rome, Georgia for Dekie Hicks’ book signing (She happens to be my wonderful wife). 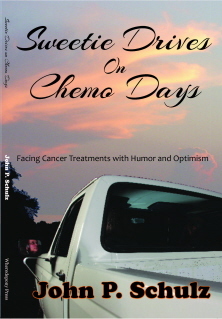 Her book of poetry, “These for Me are Therapy” was published in January. 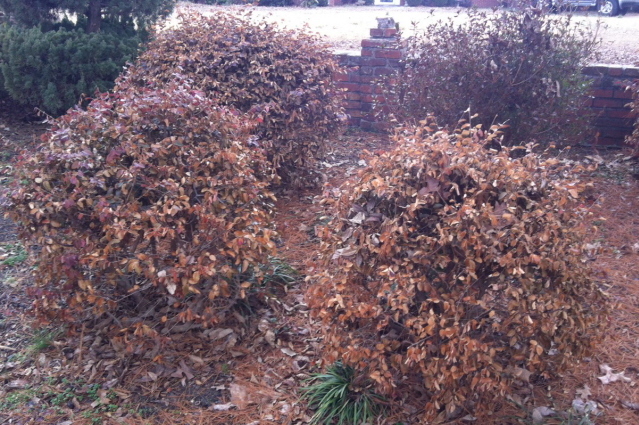 The basics of pruning—one of my most popular articles ever.